As the year draws to a close, we are thankful for the community support that enabled several major accomplishments at the Fountain and Walk. We completed repairs to balusters and the sidewalk around The Circle and on Fountain Walk. The coping around the fountain pool has been reset and secured. New LED light fixtures now shine brightly in the fountain bowls, and down Fountain Walk, new drought tolerant landscaping cascades along the walkway. Projects in the months ahead include new pumps for the fountain, resurfacing the fountain pool, the digital preservation of the fountain architecture and on-going maintenance and repairs. Almost 20 years after the Fountain was re-dedicated, we are focused on infrastructure refurbishment so the Fountain will continue to delight the neighborhood. Your donations are critical to this effort. Thank you for visiting our website. Like us on Facebook and follow the Fountain on Twitter. Watch for holiday decorations going up on November 30. 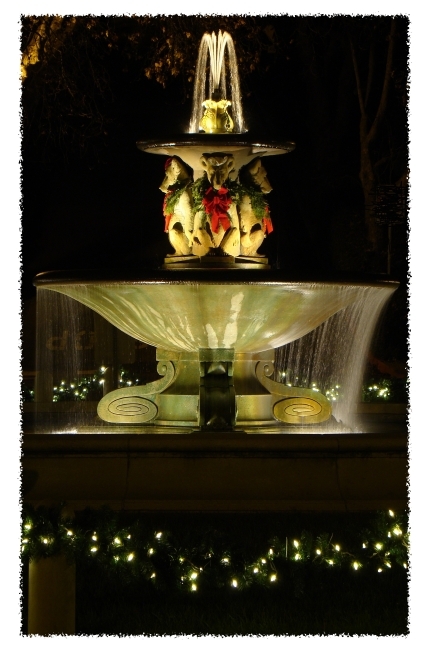 Donation checks by mail would be welcomed at Friends of the Fountain and Walk, P.O. Box 7343, Berkeley, CA 94707. You can also donate on-line via PayPal. Friends of the Fountain and Walk is a non-profit 501(c)(3) organization.